Do you think it’s possible that a furred man like being inhabits the more remote areas of the United States.? It seems somehow arrogant of us to assume that we are the only creatures that exist with our own level of intellect or that we’ve seen each and every being that exists on the earth. It is so much more than possible that we have species that we’ve never seen, but may have heard about in legend and myth. It wasn’t so long ago, the late 1800’s early 1900’s that a mythical creature was discovered to be real, when the Okapi was discovered to wander the lands in Africa. It’s not so difficult to believe then that a man could be furred and could be intelligent and not still desire to live among “real” men, and be part of “real” technology. The names by which it is called are many, yeti, sasquatch, missing link, and sometimes just bigfoot. He has been seen in multiple places at multiple times on multiple continents. Are they all attention seekers or people who have the proverbial screw loose? is this an unknown part of mans evolution, a missing link, or is it simply another hoax. Numerous sightings exist each year, and the descriptions of the creatures are so markedly similar as to be impossible to have been rehearsed or studied. Witnesses have given reports that sound the same from the beginning of the sightings. The main differences will be the size when witnesses report on the creatures. Witnesses have reported the creatures to be from 5’6″ to 8’feet. This could quite readily be explained by the age of a creature, presuming that they must reproduce. Is there another intelligent race of beings on our planet who don’t want to live among us? Do you think something could exist and survive without being seen by humanity all these years? Is it possible that a large ape like creature live in places thought not to have monkeys etc? Yes I believe it could be true. I’m a Cryptozoologist, and I think bigfoot might be real, but be intelligent like us? No. Unless it is a human with something terribly gone wrong. But other then that, it is a very elaborate hoax, mass hysteria or an undiscovered animal. While I want to believe in Bigfoot (I really do!) I’m afraid I have to disagree, and for so many reasons: lack of bones, the number of proven hoaxes, etc. 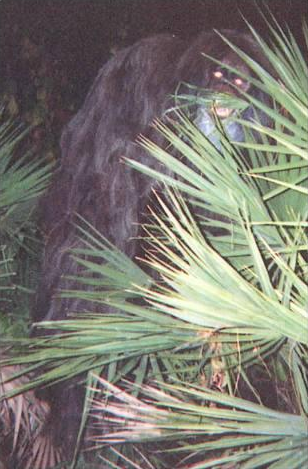 I thought it would be more pictures of Bigfoot (which it was), but they also talk about why Bigfoot just can’t be, and the argument that struck out at me was this – ‘we know where sightings have been made, but no one has brought any fur back’. I paraphrased it, but that’s the gist of what was said. And they’re right. How does such a furry creature not leave any fur behind. And if it did, where is it and why hasn’t it been used as conclusive proof of Bigfoot?